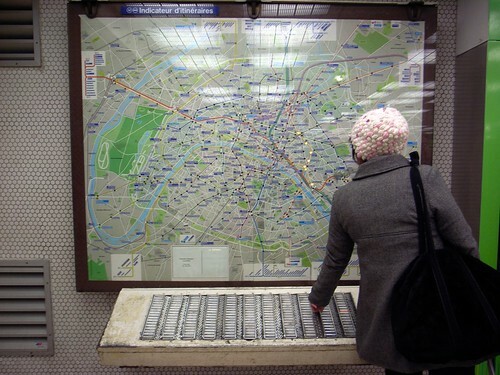 On the most interesting "static" map I've ever seen is the "indicateur d'itinéraires" located on some of the metro station in Paris (this one is close to the entrance of Ligne 1 in Paris Gare de Lyon). 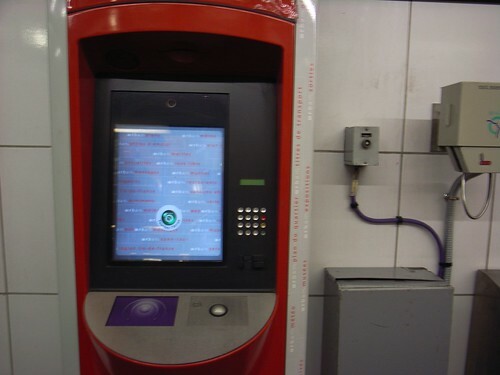 You press the number of the metro station that you want to reach with the keyboard below and the suggested route appears displayed on the lights on the board. Although some folks think there's a small person in there, the inner mechanism is closer to "Operation" with lights. Very low-bandwidth and based on electricity. 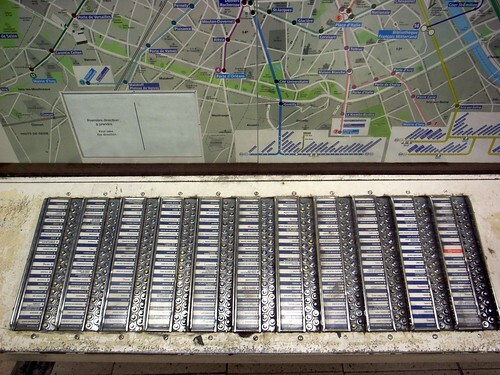 This device is actually called PILI, which stands for "plans indicateurs lumineux d’itinéraires" (Light-Based Indicator Plan for Itinerary") and has been implemented in 1937. A simple and straight-forward way to get both a general overview as well as information about where you want to go. It's intriguing to see how people from these times designed a map-based system without any complex display technology, and it's very efficient. User's proximity to the device, which depends on their purpose (getting and overview, looking for a specific route). The flexibility of usage: the device is very big and it allows people to use it in various ways altogether. 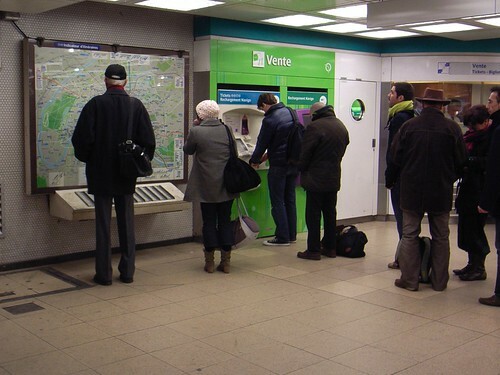 If a person looks for a route, it doesn't prevent others to observe the map and look for their information (without necessarily using the buttons). Interestingly, I found it much more efficient than the 21st century version that you can see below. Even though it has different features, this new version is rather small (intended to be used by only one person) and I generally rarely see people using it.